3D Printing and who actually owns the Means of Production. It’s really quite surprising how little attention 3D printing gets from the media, given the true scale of the extent to which it is about to change your life. Admittedly, the technology is in its infancy, and we will no doubt look back on these early efforts, like the Makerbot line or the Cube as clumsy, awkward things, like the supercomputers that once filled whole rooms, but it is reaching some important milestones. Milestones that, once crossed, can’t be uncrossed. To start with, the price point of the machines themselves is reaching the point where it is not unthinkable for the average consumer to already have one in their home. Makerbot’s top of the line models go for a little over 2000 dollars. And 3D scanners capable of immediately scanning an object and rendering it infinitely reproducible are getting infinitely cheaper. Some go for around 445 pounds. Alas, I can’t find the link to the particular example I have in mind, but if you can help out in the comments with links, please do. Plus the software will eventually be, if it isn’t already, as easy to operate as Itunes. But if I’m right, and I suspect I am, you’ll soon think no more of printing things in three dimensions than you now think of printing in two. Probably within the decade. When this technology reaches the point where the devices are simply household appliances, all manner of things will become possible. There remain drawbacks. Most printers, as far as I know, only create models in certain substances, such as PVC plastic, or vinyl. Some substances can be cleverly imitated, like wood, but it is not yet possible to 3D print in gold, say, or stone, or rare earth metals, or any of the things you’d need to print off truly sophisticated electronics. But a future where you can is not that far away. As I’ll explain in a follow-up post about asteroid mining. Staying on topic though, what seems most exciting to me about the potential of 3D printing is that ultimately it democratizes the means of production. Karl Marx probably correctly pointed to the relationship between organized capital and the means of production, or the ability to make things to sell, use, what have you. Because manufacturing has historically been expensive, huge amounts of capital are required to do it. Meaning, in effect, that the rich stay rich and the poor stay poor. But Marx may, at last, no longer be relevant. If we’re entering a world in which most household items can be manufactured quickly and easily at home, then industry as we’ve known it is kind of dead. It will no longer require prohibitive amounts of capital to be an economic player. Brilliance, speed, and efficiency will matter more. Entrenched wealth will become increasingly difficult to maintain. It still feels reasonable, at the moment, for people to continue to own and control the algorithms that allow people to reproduce their creations. But effectively, if you can download an IPhone, say, what do you really care if you’re downloading the official Apple product? People have proven themselves to be unscrupulous in this regard. How do we deal with this? I have no idea. But I’m looking forward to seeing the ramifications of this technology unfold as they happen. It looks like the future is finally arriving. 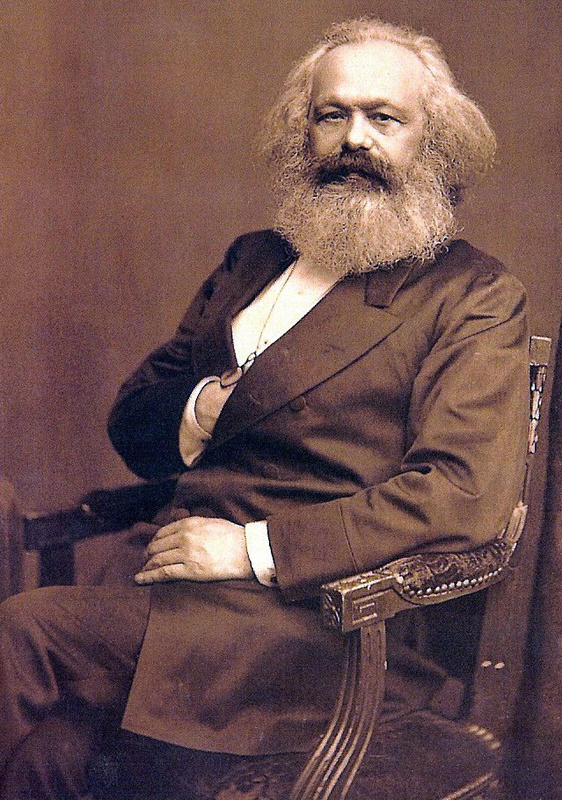 I give this blog post high Marx for insight. Until we get 3D printers that run on sunlight and atmospheric carbon, I think someone’s always going to be controlling the means of production through supply chain management. Our spiffy MakerBot 2022 won’t be able to print iPhone 12’s without a source of tantalum.